The social media landscape is ever-changing. As a leading social media agency, we strive to stay on top of all updates made to social media platforms, no matter how small or large they may be. In this guide, we provide an overview of what you need to know to succeed on the top social media platforms today, and throughout 2018. Before we get into specifics about the top social media platforms for 2018, we’d like to share some general strategies that apply to any social media network. Take advantage of visual profile elements, such as cover photos. Follow your biggest competitors on social media to keep tabs and adopt any aspects of their social media strategy. Update your profiles, pages, and groups regularly. No one wants to become a follower or fan of an inactive social property. Cross-promote social media networks to get fans from one network to become fans on another. Look for ways to convert social media followers into mailing list subscribers. Now, let’s dive into advice for specific social networks! Facebook is still the most popular social network worldwide with 2.07 billion monthly active users, making it an ideal social media platform for businesses to use to reach their customers. Here’s what you need to know about the basics of Facebook in 2018. Aside from audience size, Facebook offers the most personalized targeted advertising options. If you have a product specifically for married women in Los Angeles with children, for example, you can target them with Facebook advertising. On Facebook, you can market your business through your personal profile, Facebook business page, and groups. Note that you cannot create a personal profile for your business. But you can use your personal profile to link to your business page, share updates from your business page, and participate in groups relevant to your business. Essential elements of your Facebook page include the cover photo or cover video, profile photo, and website link. Physical business location pages will also have their local address, hours of operation, type of business, and phone number. Use your personal profile to interact with other profiles, pages, and groups by posting updates on a wall or engaging with a like, comment, or share. You can also use your Facebook page to interact with other pages by posting updates to their wall or engaging with a like, comment, or share. Facebook pages can also send private messages to personal profiles if you need to take a conversation offline. Websites using the Facebook comment system will allow comments on articles and blogs using a Facebook personal profile or page. This strategy is a great way to get exposure for your Facebook page outside of Facebook itself. It continues to be harder for businesses to reach their customers due to declining organic reach and the removal of overly promotional posts from the news feeds of fans. 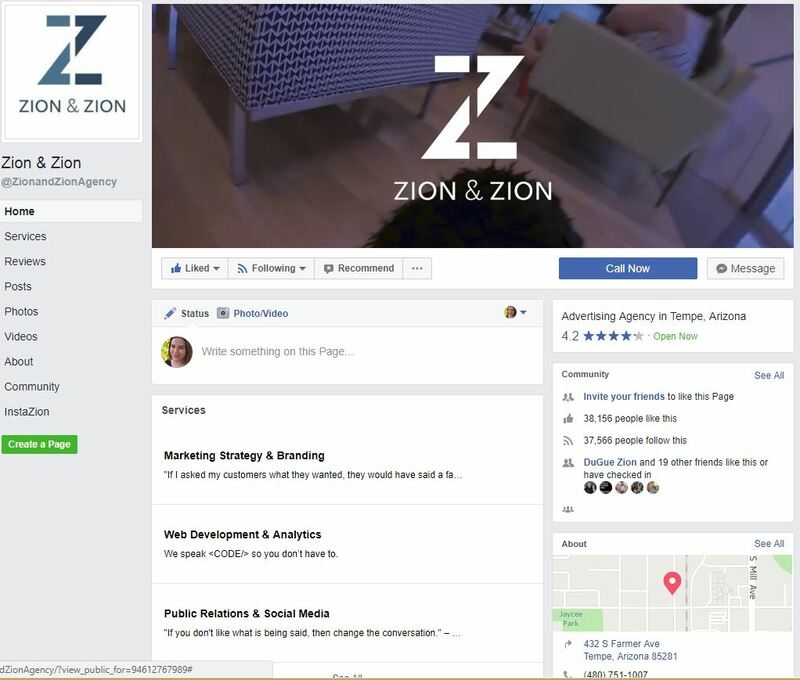 Businesses have been finding more inventive ways to circumvent Facebook’s attack on Facebook page reach through the use of personal profiles and groups. Facebook groups have been particularly beneficial—anyone who belongs to a Facebook group knows that posts from groups fill their news feed. Hence, the more people from your company that you can get active in Facebook groups, the more people you can reach with your business message. The key isn’t to be overly self-promotional, but just to be helpful. Facebook groups can be especially effective for local businesses that belong to local business referral and word of mouth groups. In addition to utilizing Facebook groups, businesses that want to reach their fans and target audiences should use Facebook Ads. Marketers refer to Facebook as a “pay to play” network. 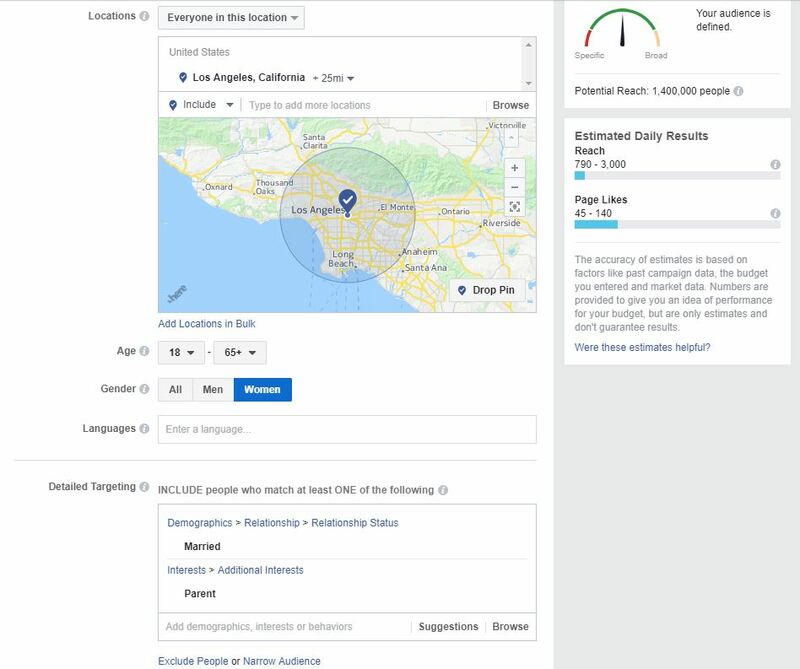 Facebook’s advertising platform allows advertisers to create ad campaigns based on specific goals. These goals go beyond post engagement with items like building fans, website traffic, conversions, app installs, video views, and more. 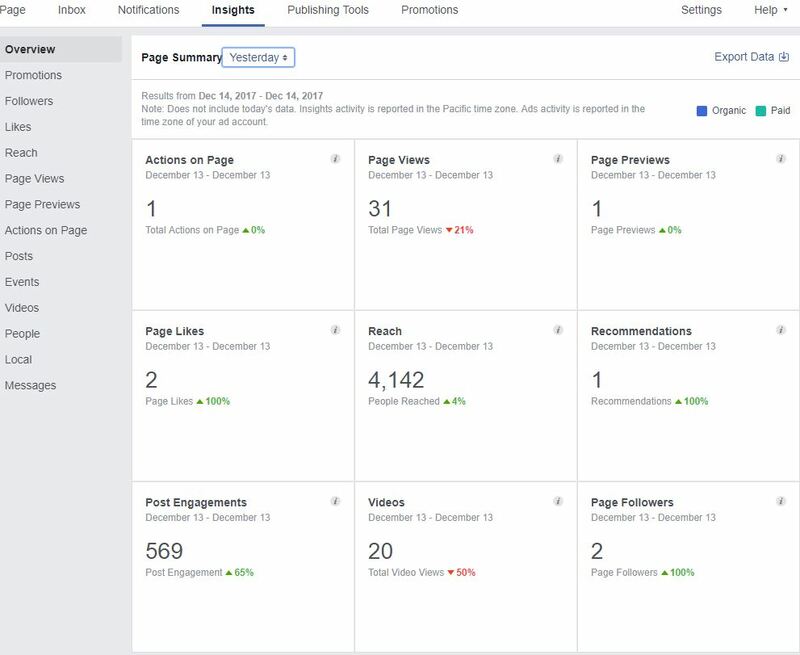 Those with a page role on a Facebook page can use Facebook Insights to analyze data about their fans and post engagement. 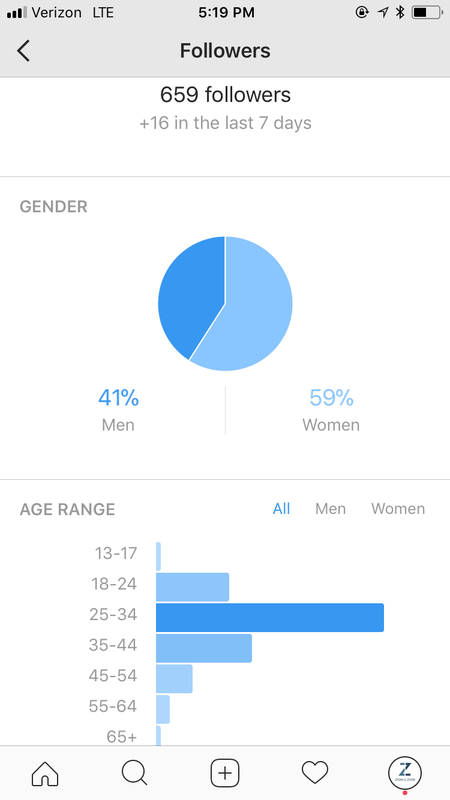 Insights will also show you basic demographics about fans, where visitors to your page originate from, and when they’re online, to name a few. So how can businesses succeed on Facebook in 2018? Here are some of our top tips. Connect your business page to your personal profile by adding it as your current employer. This way, visitors to your profile will be able to click through to your business page. Encourage employees at your company to do the same to reach even more potential friends. Join and interact with users in relevant Facebook groups that your ideal customers have joined. If none exist, create them. Encourage people to get notifications once they like your page, so they don’t miss your updates. Use the Facebook Like Button or Page Plugin on your website to get more fans without them having to leave your website. Post regular updates to your Facebook page. According to 14 different studies, the sweet spot for most businesses is one post per day. Skip the boost post option and use the main ads manager for more targeting options. Get the most of your Facebook advertising budget by focusing on website conversion goals as opposed to just driving traffic to a web page. Create video content for your business and upload it directly to Facebook. Video exposure in the news feed is known to be much higher than photo, text, and link-based status updates. Don’t just focus on growing your Facebook fans. Focus on converting fans into email list subscribers so you can reach them directly in their inbox. Don’t just talk at your Facebook fans, but interact with them. Respond to messages and comments in a timely manner and find ways to keep the conversation going. Doing so will encourage followers to interact with you in the future. Tag other people and pages when possible in your posts to help extend your organic reach. Twitter is another must-have social media platform for businesses. There are 330 million monthly active users tweeting approximately 6,000 tweets per second. Here’s what you need to know about the basics of Twitter in 2018. What can you do on Twitter that you can’t on Facebook? You can search public tweets using keywords to see who’s discussing specific topics related to your industry. You can also talk to anyone on Twitter, if they have a public profile, regardless of whether they’re following you or not. This strategy helps open the door to new connections with potential customers. The only way to use Twitter is through a profile. There are no separate business pages, local places, or groups to contend with, making it a simpler platform to work with. Essential elements of your Twitter profile include your cover photo, profile photo, 160-character bio, location information, and website link. Use your Twitter profile to post tweets, reply to tweets, mention other users in tweets, retweet, and favorite tweets from other Twitter users. You can also send private messages (direct messages) to those who are following you. All tweets have a limit of 280 characters and direct messages can have a maximum of 10,000 characters. Much like Facebook, the Twitter news feed has an algorithm, so tweets don’t show in chronological order. For greater reach, use searchable hashtags in your tweets, tweet often, and consider Twitter Advertising. 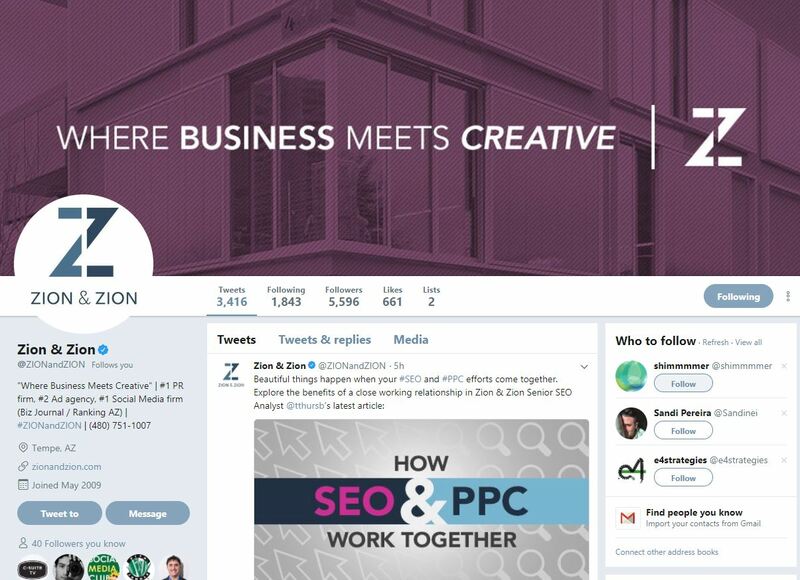 Businesses can take advantage of Twitter Advertising to promote their profile, gain new followers, and promote their tweets to increase engagement, among other advertising objectives. Twitter also released Promote Mode at the end of 2017, a simplified option to get your message amplified. 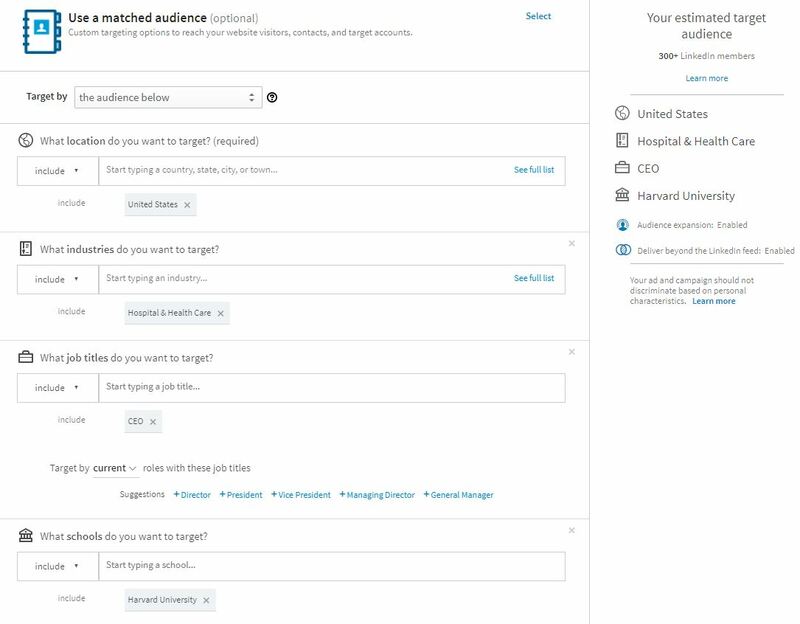 Twitter offers analytics to help users learn more about the engagement they receive with their tweets and the demographics of their followers. 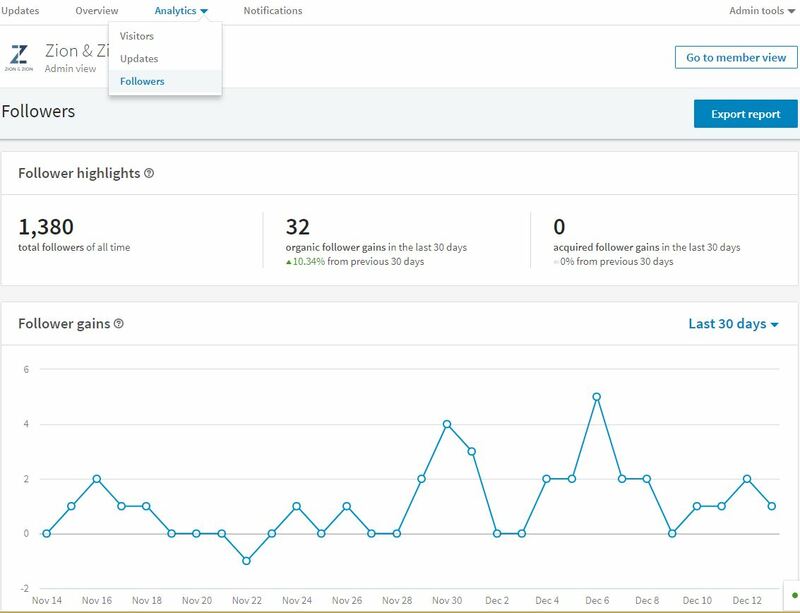 The engagement statistics include a summary of the number of retweets, link clicks, likes, replies, and overall engagement rate over the past 28 days or time frame you choose. Audience demographics include interests, gender, household income, education, and more. 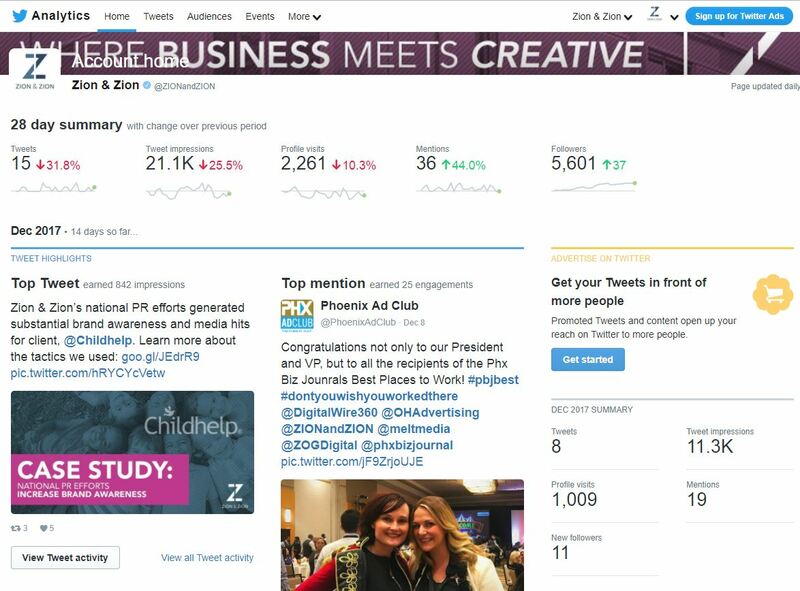 So how can businesses succeed on Twitter in 2018? Here are some of our top tips. 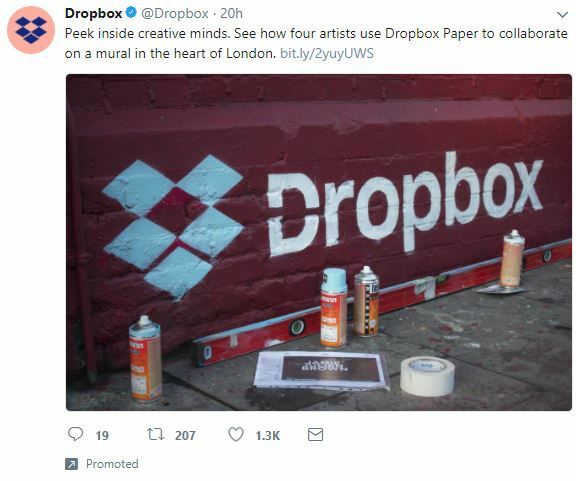 Familiarize yourself with the Twitter Ad platform so you can create effective, promoted tweet campaigns, or consider signing up for Promote Mode. Post tweets with photos and videos to stand out in the news feed and on your profile in the media section. Monitor conversations in your industry using applicable keywords and hashtags, then jump into conversations when possible. Review those who follow you on a daily basis and follow them. Also, be sure to follow potential clients, relevant users, and powerful influencers in your industry. Add the Twitter follow button to your website to get more followers without making visitors leave your website. Use the Twitter share button on your content to encourage more shares and to get more followers. Thank those that share your content or recommend your business to their followers. Like positive mentions of your business on Twitter and embed the tweets on your website as testimonials. Tag other Twitter profiles whenever possible for additional organic exposure. Add one to two hashtags to each of your tweets for additional exposure to those following popular hashtags. 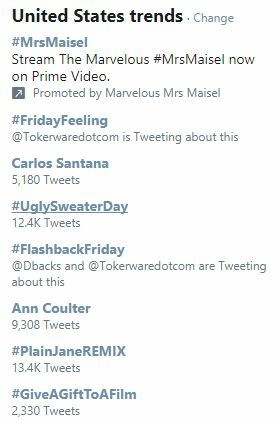 If you can make a tweet relevant to a trending hashtag in good taste, do it. LinkedIn is the premier social media platform for professionals with 500 million members worldwide, and counting. It’s perfect for businesses looking to market themselves to other businesses (B2B) and individuals looking to grow their professional network. Here’s what you need to know about the basics of LinkedIn in 2018. While Facebook has highly specific targeting options for personal profiles, LinkedIn has highly specific advertising targeting options for professional profiles. For example, you can create ads aimed specifically at CEOs of healthcare companies that graduated from Harvard, if you choose. On LinkedIn, you can market your business using professional profiles, company pages, showcase pages, and groups. While company pages, like the one above, are for your business as a whole, showcase pages are for promoting a specific brand, business unit, or initiative within your company. Essential elements of your company page include your cover photo, company logo, website link, and detailed information about your business. Showcase pages host similar information focused on a highlighted area of your business. You can post new status updates to your professional profile and in groups, as well as engage with other users by liking, commenting, and sharing updates. LinkedIn company pages and showcase pages can post new updates, and engage with others by liking and replying to comments made on them. Participating in LinkedIn groups is particularly useful for those looking to expand their professional network. Active participation in LinkedIn groups will attract new connection requests and allow you to request connections with those otherwise outside of your network. Users can sort their LinkedIn news feed by top updates or by most recent updates. To get more exposure in the LinkedIn news feed, sponsor updates tailored to your target audience. If you want to reach a larger audience beyond those following your company page, invest in LinkedIn Advertising. 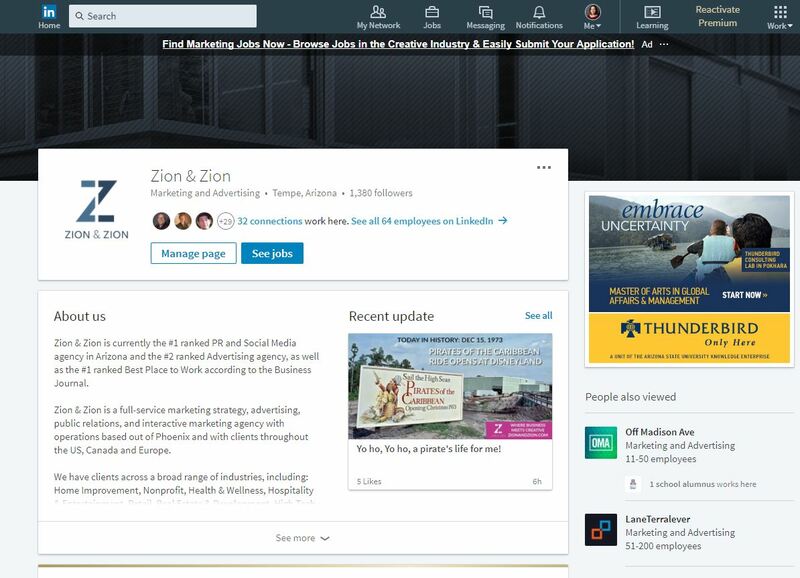 Compared to Facebook and Twitter, LinkedIn has extremely specific targeting options for professionals, including years of experience, skills, seniority, and field of study. 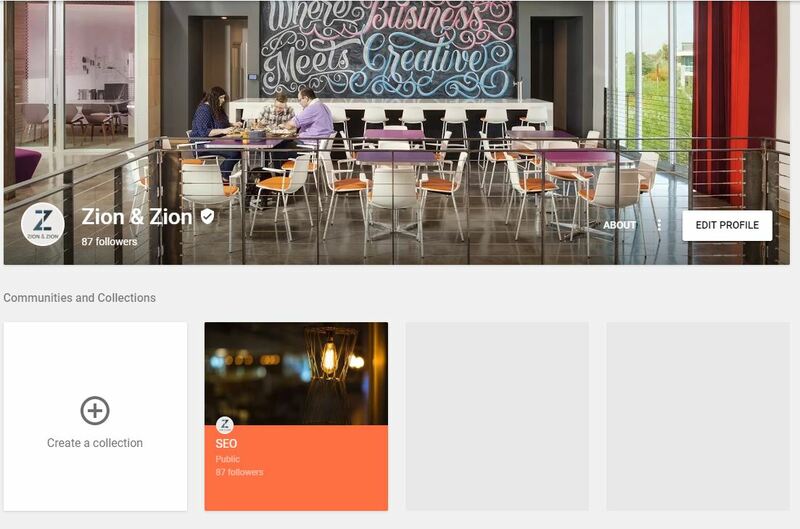 LinkedIn company pages offer analytics for visitors, updates, and followers. You’ll be able to see the engagement you receive per post on your company page, including impressions, clicks, CTR, social actions, and engagement percentage. Further, you can gain insights for your followers like geography, job function, seniority, industry, company size, and employment status. So how can businesses succeed on LinkedIn in 2018? Here are some of our top tips. 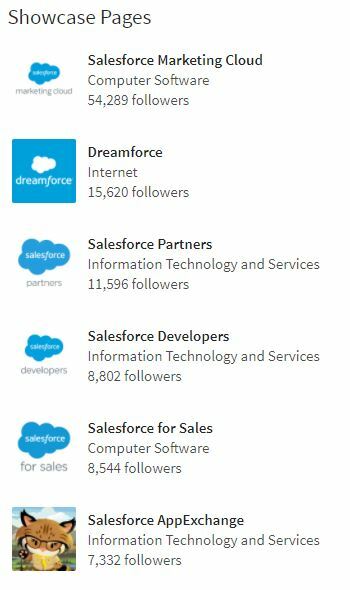 Complete as many fields and sections in the LinkedIn professional profile and company page as possible. Link your professional profile to your company page in your work history section. Encourage all employees of your company to do the same. Participate in relevant discussions in active LinkedIn groups for your industry. If none exist, create one. Grow your professional network with relevant connections. These include current and past work colleagues, alumni, potential customers, potential employers, and industry influencers. Create a company page and keep it up-to-date. Add a company follow button to your website to grow your followers. Create showcase pages for your top products and services so people can follow updates for those items. Publish content to your professional profile using the LinkedIn publisher service. With over one billion users, YouTube is not only a video hub—it’s also a powerful social media network. Here’s what you need to know about the basics of YouTube in 2018. The newest YouTube channel feature is the Community tab, which is now a way you can communicate with your audience in addition to your video uploads. You can also take advantage of YouTube advertising for business exposure on this popular platform. Profiles on YouTube are referred to as channels and are utilized by individuals and businesses. 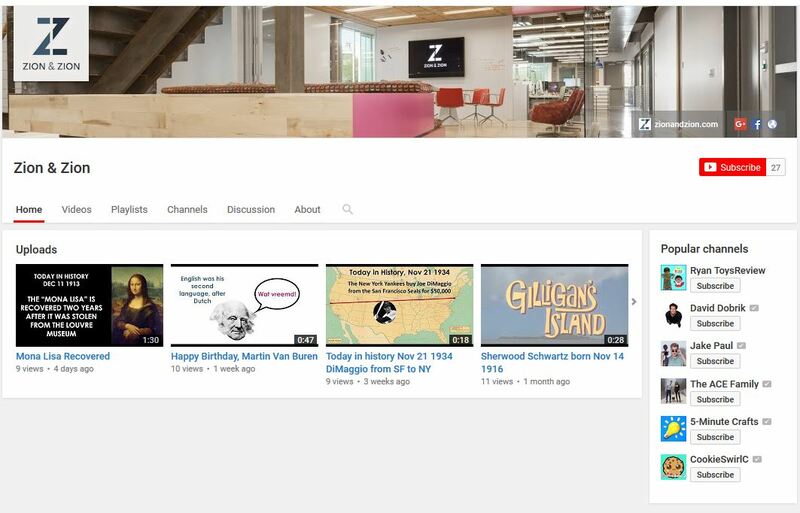 Essential elements of your YouTube channel include the channel cover photo, links to your website and social media profiles, a channel trailer featured video, and featured playlists. Use your channel to like videos, comment on videos, and reply to other commenters. You can also start discussions on YouTube channels that have the discussion tab or community tab. Reach your audience on YouTube by creating video ads using your Google AdWords account. 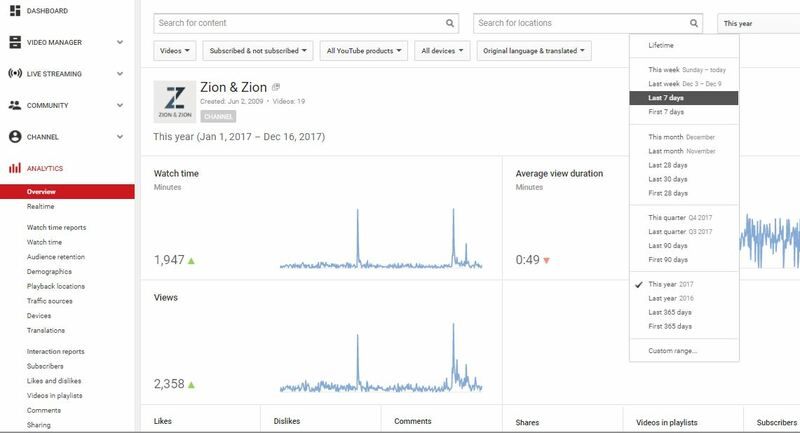 Your YouTube channel analytics offers insights on watch time, audience retention, traffic sources, devices, interaction, and more. Demographic information includes age, gender, geography, subscription status (subscribed to your channel or not), the YouTube product they watched on (YouTube, YouTube Kids, or YouTube Gaming), translation use, and device type. So how can businesses succeed on YouTube in 2018? Here are some of our top tips. Create video content on a regular basis. Optimize videos for search using keyword phrases in the title, video description, and tags. Organize related videos into playlists and display popular playlists on your channel. Grow your YouTube subscriber list by adding a subscribe button to your website. Utilize the community tab to engage with your subscribers directly, rather than hoping to catch them on other social media platforms. Despite what some may think, Google+ is still an active social media platform with around 395 million active members. Here’s what you need to know about the basics of Google+ in 2018. Google+ is Google’s own social media network that can aid your search rankings with an active profile. Google+ also had a dynamic discover page that groups posts by topic, making it easier to organically reach a relevant audience. On Google+, you can utilize profiles, pages, collections, and communities to market your business. Essential elements of your Google+ page include your cover photo, profile photo, about information, and posts. Use your personal profile and business page to post status updates and engage with others with +1s, comments, and shares. Unlike Facebook and LinkedIn, both personal profiles and business pages can create and interact in Google+ communities (groups). So how can businesses succeed on Google+ in 2018? Here are some of our top tips. Post updates to your business page often. Use correct formatting when posting for best SEO results. Engage as your business page on other pages. Participate in communities related to your industry using your business page. If none exist, create them. Use Google+ badges on your website to grow your follower base. Instagram boasts 800 million monthly active users and 500 million daily active users. Here’s what you need to know about the basics of Instagram in 2018. Instagram allows you to connect with your customers through photo, video, live video, and stories. Individuals and businesses use Instagram profiles to share visual content with their followers. Essential profile elements include your profile photo, a short description of your business, and your website link. Post photos, videos, and stories to your Instagram profile and engage with others by liking and commenting on their photos and videos. You can also direct message and share content using Instagram direct. 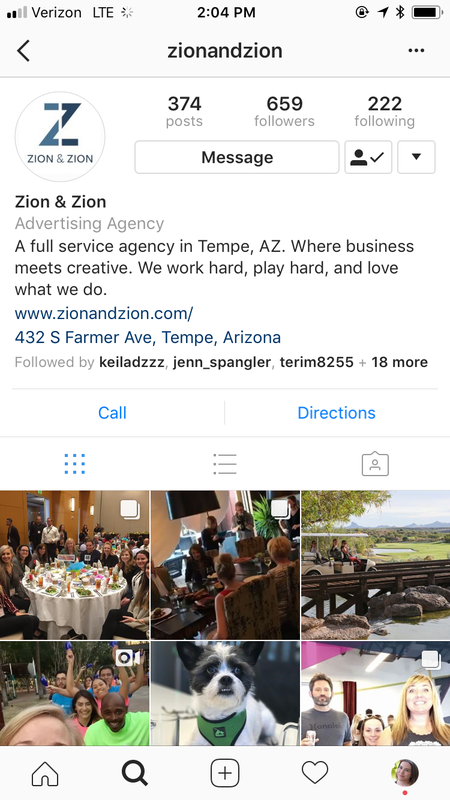 With a business account on Instagram, you have options for Instagram advertising and analytics. Advertising can be created both in-app or from your Facebook Business Account. 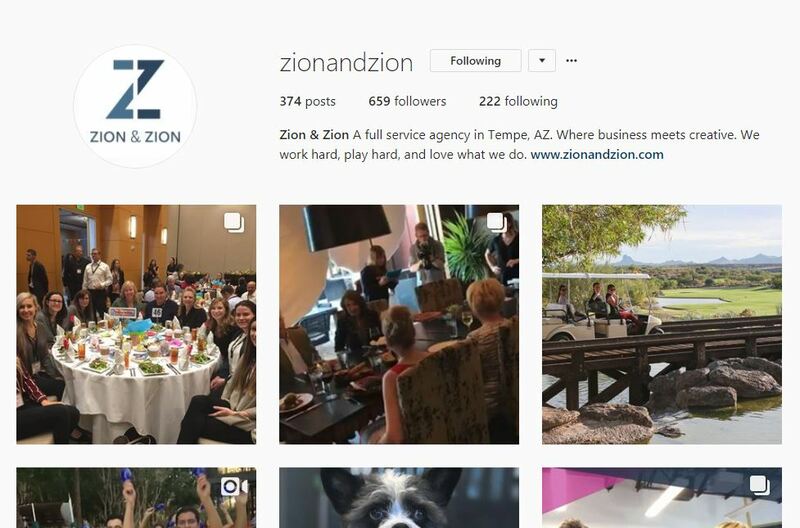 So how can businesses succeed on Instagram in 2018? Here are some of our top tips. Post new photo and video content to your Instagram account on a regular basis. Include relevant hashtags to increase update exposure. Cross-post your Instagram updates to Twitter and Facebook for additional exposure. Update your Instagram Stories with behind the scenes video, live updates, or specials just for your followers. Invite Instagram fans to share photo and video content about your business using a custom hashtag. For businesses that want to reach younger crowds, Snapchat is an important social network to explore with 178 million daily active users. Here’s what you need to know about the basics of Snapchat in 2018. Snapchat allows you to reach younger demographics on their mobile devices through short video messages, or snaps. You can also advertise through filters, full-screen snap ads, or lenses. Individuals and businesses on Snapchat use profiles to engage with one another. Simply create a username and you’re ready to use Snapchat. Create photos and videos for fans. Note that unlike most social networks, content created on Snapchat lasts for a maximum of 24 hours if it’s added to a story. So how can businesses succeed on Snapchat in 2018? Here are some of our top tips. Promote your Snapchat presence on other social networks such as Twitter and Instagram, by including your Snapcode. Hold contests for fans, inviting them to create snaps of themselves with your products and send them to you. Create exclusive deals and secret items just for Snapchat fans. Utilize Snapchat advertising to reach your audience in a specific area. The world of social media is everchanging and can be hard to keep up with. Are you looking for a partner to help you navigate the social media space for your business? Contact us today.